Chidiya Ghar, meaning ‘animal house’ is no zoo but a home named after the late Mrs. Chidiya Narayan, wife of retired principal, Shri Kesari Narayan. This series revolves around Kesari, his two sons, Gomukh and Ghotak, their respective wives, Mayuri and Koel, youngest son Kapi, grandchildren Gillu and Gaj, daughter Maina and son-in-law Tota. Coincidentally their names resemble certain animals, and each individual displays some of the animal’s characteristic traits. 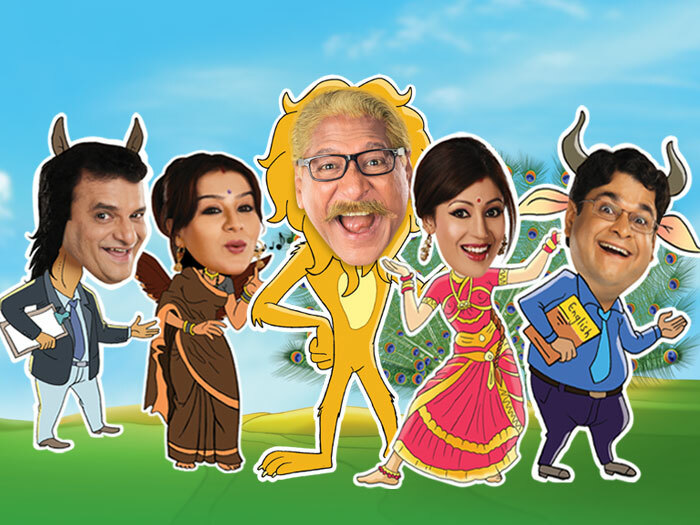 This show is a unique family comedy which is based on the premise that all humans have some or the other animal trait, and finally it is our humanity and our values of love, respect, patience and understanding enrich life, and make us a truly distinct species.